CECP’s Global Exchange seeks to unite country-based, mission-driven corporate social investment organizations to advance the corporate sector as a force for good around the world. Participating organizations – each referred to as a Global Exchange Country Partner in their respective country – collective represent over 54% of the world’s population and 67% of the world’s GDP. They include Admical in France, Beyond Philanthropy in Germany, CECP in the USA, Cemefi in Mexico, Comunitas in Brazil, The Conference Board of Canada in Canada, CSRone Reporting in Taiwan, CSR Turkey in Turkey, Dynamo Academy in Italy, Fundación SERES in Spain, Trialogue in South Africa, Korea Productivity Center in South Korea, Russia Donors Forum in Russia, Samhita in India, SynTao in Mainland China and Hong Kong, and, United Nations Global Compact Network Malaysia in Malaysia. CECP is a coalition of 250 of the world’s largest companies that represent more than $6.6 trillion in revenues, $21.2 billion in social investment, 14 million employees, and $15 trillion in assets under management. 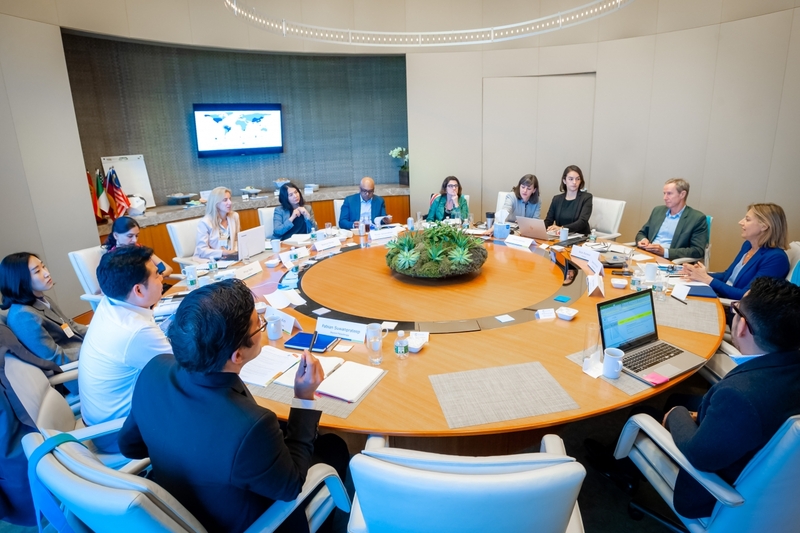 With the Global Exchange advancing its global research agenda in 2019, the network is poised to develop an innovative body of knowledge built on market-specific expertise, enhanced collaboration, and competitive advantage. The initiative features four components, including the recently launched the Global Exchange 2019 Questionnaire, developed to help identify shared characteristics and test the reach of trends in social investment across countries. Several of the questions have been designed with enabling the Global Exchange to compare results and identify year-over-year trends in areas like the Sustainable Development Goals (SDGs), shared value, and private sector partnerships. The questionnaire will be supplemented by secondary research from other publicly available reports to further develop insights from respondent companies and their respective countries. The three other pieces of this research agenda include insights from Global Exchange partners’ market-specific research; analysis of international conference agendas to understand the overlapping themes across countries, and a regular series of “Pulse Surveys” on a short list of hot topics distributed by Global Exchange Country Partners to their companies. The research will culminate in an in-depth analysis of insights and benchmarking produced by CECP on global trends sourced from the Project’s components. CECP will publish the results in its industry-leading report, Giving in Numbers, as well as in Investing in Society, CECP’s bi-annual collection of insights. Global Exchange Country Partners will use the results to advance the network’s mission and vision, as well as lever the findings as a practical resource for best practices. Companies will be able to use the resulting insights to inform their global-local social investment strategies and use the benchmarking data to compare their company’s progress. Companies with over US$1 billion in annual revenue are invited to be part of this research initiative. If your company is interested in helping advance this global research agenda, please contact CECP to receive a link to the survey. Global Exchange Country Partners work individually with some of the world’s largest companies to support their societal engagement efforts, offering cultural learnings and context, expert data-driven insights on country-specific social impact efforts, and opportunities to deepen corporate programs in regions around the world. Please contact Laura Galindo (lgalindo@cecp.co) for more information.